Cinnamon is a spice that is available in a variety of forms. However, when kept in its stick form, cinnamon can be used as a tool to help you quit smoking, a complex addiction, according to "Foundations of Nursing," with both psychological and physiological roots, making it one of the most complicated habits to break. With knowledge, determination and motivation, you can stop smoking for good and reap the benefits of quitting smoking. Ensure that you always have a cinnamon stick readily available. 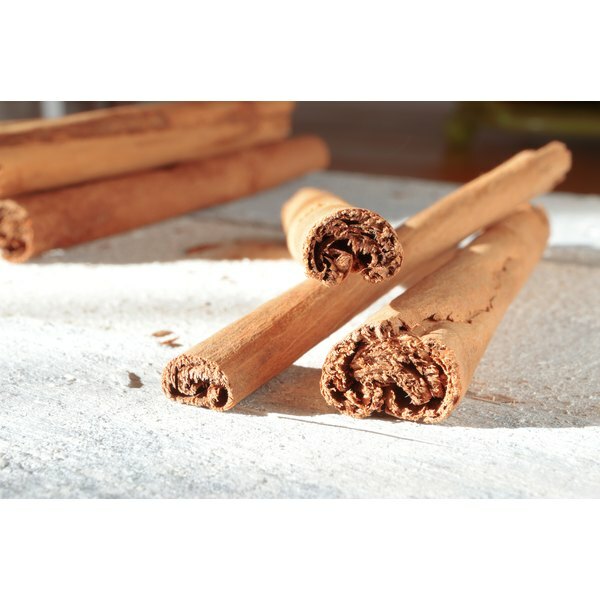 Keep cinnamon sticks at home, in your car, at work and anyplace else where you used to smoke. Hold a cinnamon stick in the same fashion that you used to hold cigarettes when the urge to smoke strikes. Put the cinnamon stick in your mouth and inhale, just as you did when you were smoking. Though you won't be getting any nicotine, you will be mimicking the physical actions of smoking without the negative effects of cigarettes. Exhale deeply after inhaling with the cinnamon stick. Continue to use the cinnamon stick as you would a cigarette until the craving passes. Drink a glass of water if the cinnamon aftertaste is unpleasant after you have used your cinnamon stick. The water will diminish the cinnamon taste. Call 1-800-QUITNOW, which will provide you with smoking cessation counseling and information in your state, according to Smokefree.gov, if you are struggling with quitting smoking. Do not light the cinnamon stick, as this could cause serious injury.